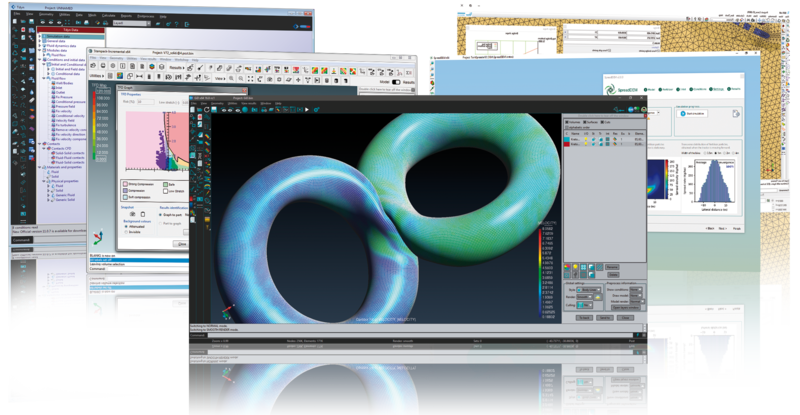 Since its creation, GiD was designed to adapt easily to any type of computer simulation and analysis software. To do so, it was created a customization system called problemtype, that permitted to make this adaptation. A problemtype is a collection of utilities, which allows the user to interact easily with them by means of a Graphical User Interface (GUI), and facilitates the definition and introduction of all the data necessary for carrying out a particular calculation. In order for GiD to prepare data for a specific analysis program, it is necessary to customize it. The customization is defined in GiD by means of a problemtype. This integration system has been very useful during these years and has helped many companies and individuals to create fast customizations, but always can be improved! Until now every developer had to repeat very similar patterns in order to achieve similar results so we decided to find a better system. CustomLIB, a new library included with standard GiD, offers some functions that implement these common patterns and standardizes the creation of a data tree, some standard windows and the output of the data into the executable data files. It takes advantage of the XML (Extensible Markup Language) format features and its hierarchical structure. It stores data more efficiently. The elements in a XML document form a tree-structure that starts at the root and branches to the leaves with different relationships between the nested elements. It permits to process automatically XML documents on a physical data tree view on the GiD window for interfaces creation. It facilitates the automatic creation of standard windows in the data tree to enter input dates. It couples geometry or mesh entities with identical properties into the called groups using these standard windows. It permits to couple entities with identical properties into groups. In this way, it couples geometry or mesh entities with identical properties into the called groups using these standard windows. It allows to apply efficiently geometry properties and boundary conditions (i.e. 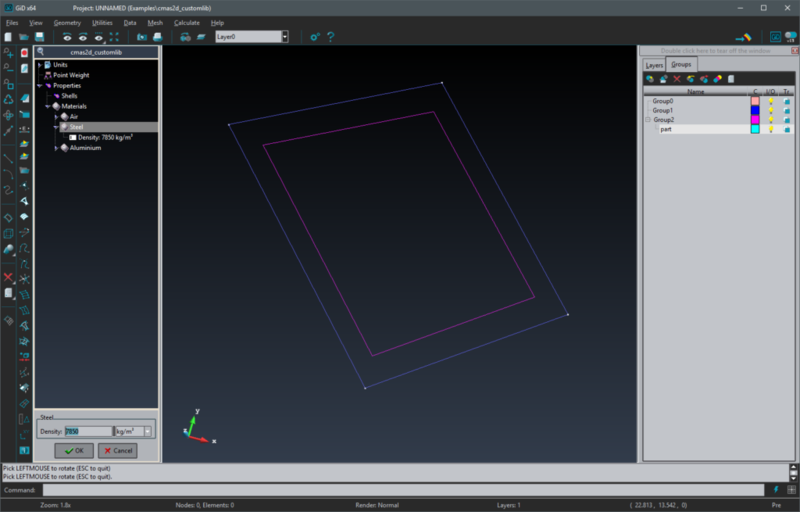 constraints, loads, materials…) into groups and to edit their properties easily.. In order to configure GiD for a specific type of analysis, it is possible to set the data tree hiding the required parts automatically. It allows to fix the data tree hiding concrete parts if this is convenient, for a specific type of analysis. It couples all the common features of the different problem types. It facilitates the introduction of all the data to transfer to an analysis program. You can try by yourself how easy is to define a problemtype using GiD. We invite you to follow the customization tutorial (chapter 1.3, page 39) that you can find in the GiD advanced courses pdf. In this tutorial you will create a problemtype for the calculation of the centers of mass for two-dimensional surfaces. By the end of the example, you should be able to create a calculating module that will interpret the mesh generated in GiD preprocess. The module will calculate values for each element of the mesh and store the values in a file in such a way as they can be read by GiD postprocess. For more information regarding CustomLib and GiD customization please check the customization manual.